RheumTalks is a novel on-line learning platform for Rheumatology CME and Certification. Why is RheumTalks different from other boring online CME? Have you ever spent or tried to spend an hour watching some boring person trudge through slides in an online CME program? We have too. We've wasted our time with that stuff as well. Its usually hard to learn anything and the point of the CME gets lost. RheumTalks is a game changer. We break everything down into clear and digestible 5-10 minute learning modules. You WILL learn something, and that's why we’re different! Why is RheumTalks so successful? We subscribe to the KISS principle: Keep it Simple Stupid. We always have a single learning objective that we answer succinctly (The Answer), and then provide more details for those who are curious (The Skinny). Can I get certified with RheumTalks? Yes, certification is our goal. We consider our courses to contain the basic information that everyone in healthcare should know if they deal with rheumatology patients. We've specifically created courses aimed at primary care physicians and courses aimed at allied health professionals. Why is Rheumatology so challenging? 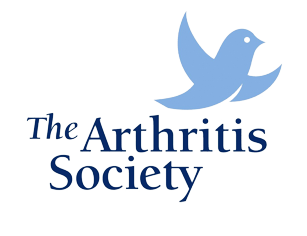 Many people tell us that rheumatology is a really challenging area of medicine. It is essentially three areas: immunology, orthopedics, and internal medicine, rolled into one. It's really (I'm being totally honest) not that difficult. It's just that you might not have thought of things in this way before. Admittedly, the MSK physical examination does take some practice to get good at. Removing an engine from a car also takes some practice to get good at too. Who built all of the content for RheumTalks? A large majority of the content was authored by Dr. Andy Thompson. Andy has many years experience treating a variety of rheumatology patients and educating young minds. He's already made all of the mistakes and is now trying to help you understand! Unfortunately, for most of us, we learn the most from our failures and not our successes. Who built this snazzy website? Mark and Kevin did – duh! Who the heck is Mark? Mark is our organizational, creative, and branding wizard. Kind of like the Merlin of the organizational world, minus the pointy hat. Kev is our internet guru who knows a lot about the "interwebs". Unlike Andy, it has become clear that Kev does not specifically prefer Apple over Linux or Windows. Nope, just haven' fun trying to get y'all to learn something new. We sincerely hope that you can see beyond our humour and realize the excellent quality of our content. Where did the name RheumTalks come from? Andy really likes to watch TedTalks on-line and feels they do some really good things with education. You can write to us and we might write back (if you're nice). A good way is through e-mail: info@rheuminfo.com.